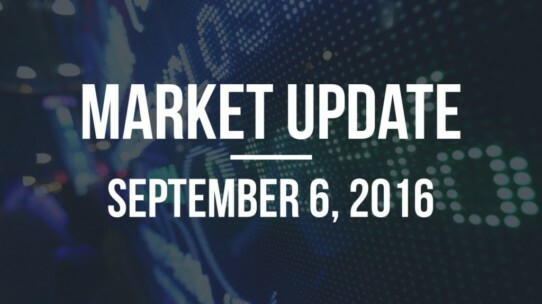 The markets have finished up over the past week with the S&P 500 up 0.17%, the Dow Jones up 0.19%, international stocks (EAFE) up 1.64% and US Aggregate Bonds down -0.25%. Top asset classes for the past week include Greece (7.17%), Silver (4.36%), and Spain (3.08%). 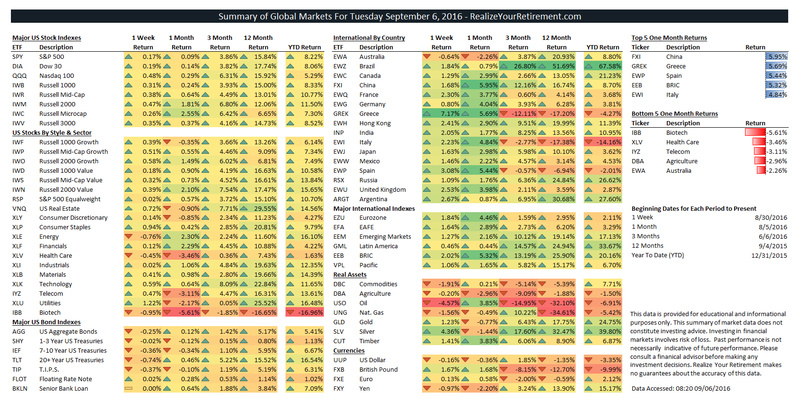 Bottom asset classes for the past week include Oil (-4.57%), Commodities (-1.91%), and Nat. Gas (-1.56%). Top asset classes for the past month include China (5.95%), Greece (5.69%), and Spain (5.44%). Bottom asset classes for the past month include Biotech (-5.61%), Health Care (-3.46%), and Telecom (-3.11%). The ESI’s current value indicates that the US economy is no longer in prime territory to support growth. While job numbers remain very strong and unemployment remains low several aspects of the US economy have begun to show their age in this market. The levels of several indicators are still in fair territory (with a couple in optimistic territory), while others are far below average. Year over year growth rates amongst the indicators underlying the ESI are in the 21st percentile (0 to 100 scale). This, combined with the current value of the ESI imply that we may see more softening of economic numbers to come. US equity markets were flat over the past week, with gains of only 0.17%. The Consumer Staples and the slightly rebounding Utilities sectors lead US Markets with 0.94% and 1.22% weekly returns respectively. Biotech continues to get pounded with -5.61% returns for the month and -16.96% year-to-date returns. Bond classes have also declined a small amount over the past week. Returns ranged from -0.74% for Long Term Treasuries, -0.37% for Inflation Protected Securities, to -0.25% for the broader bond market. Silver has rebounded a bit over the last week. Last week Silver was the biggest loser for the past month and this past week it has said the second largest gains. The best performing assets include emerging markets countries, with China, Greece and Spain taking the top spots. Rebounding strongly after weakness that lasted for several weeks. While China has been positive over the past 12 months (16.74% returns), Greece, Spain, and Italy have all negative 12-month returns (ranging from -6.94% to -17.38%). I’ll continue this refrain as long as we’re at the top of the markets. It’s easy to become over-allocated to stocks when markets are making new highs and the volatility of the last year is seemingly in the rear-view mirror. However, in times like these (when markets are reaching new highs) risk is at its greatest, so it’s important to maintain a balanced outlook in your portfolio.